OUR PRE-SALE TICKETS ARE SOLD OUT! GENERAL TICKET SALES ARE NOW OPEN, GO TO THEFENCEDEBATE.EVENTBRITE.COM.AU TO BUY YOUR TICKETS! 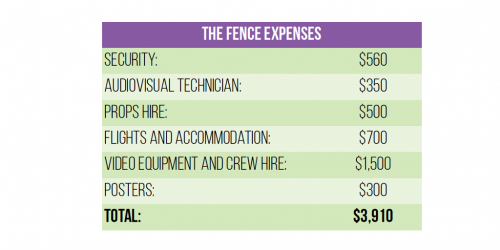 THE FENCE is a comedy debate lampooning the absurdity of Australia's asylum seeker policies. 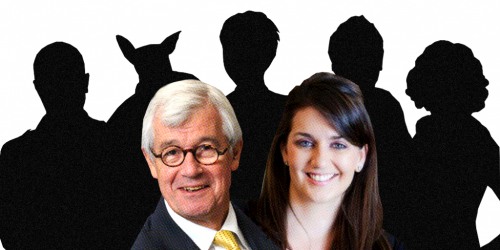 Renowned refugee and human rights advocates, Julian Burnside and Jessie Taylor will be leading two opposing teams made up of internationally acclaimed Australian comedians. We can't yet reveal who they are, but you would have seen them on your TV, on stage, or heard them on the radio! Under the watchful eye of a mediator, the two teams will go head-to-head to argue over THE FENCE - a border policy so ridiculous and so unbelievably counter-productive, you might just believe it's true! As the subject of asylum seekers in Australia remains hotly debated, politicised and often fraught with misconceptions, it can be a conversation purposely avoided in our community. In an effort to make it a dialogue as normal as any other, THE FENCE was built. The satirical and tongue-in-cheek performance will entertain and engage a wide range of Australians, providing a platform to provoke discussion and shed fresh light on Australia's border protection laws. 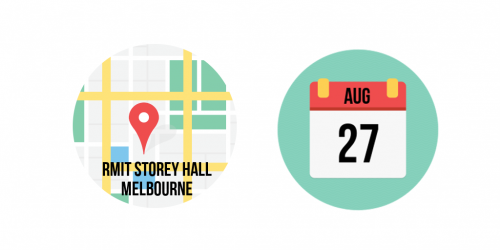 The event will be held on Thursday 27th August, at the RMIT Storey Hall in Melbourne. The show kicks off at 7:30pm, and drinks will be available for purchase prior to the show. By buying your ticket today, you can help us cover these costs and ensure we engage a wide audience in a discussion about Australia's asylum seeker policies. If you cannot attend the event, you can still help start the conversation by making a donation – any amount helps! You can also share our campaign, and sign up to Road to Refuge's mailing list at www.roadtorefuge.com. Funds raised through the event will go towards expanding current programs and creating new initiatives to continue generating informed, constructive and inclusive conversations about asylum seekers and refugees in Australia. Road to Refuge (www.roadtorefuge.com) is a not-for-profit organisation that generates constructive conversations about asylum seekers and refugees in Australia. The volunteer-based group run engaging and creative community events, educational initiatives and workshops alongside their interactive web-program. All of Road to Refuge's outputs aim to shine a light on the reality of seeking asylum, and to empower Australians to make up their own minds on asylum seekers and refugees. THE FENCE is a comedy debate lampooning the absurdity of Australia’s asylum seeker policies. Two teams will go head-to-head over a border policy so ridiculous, you might just believe it’s true! 1 x Concession* ticket to THE FENCE - event to be held on the 27th August, 7:30pm at Storey Hall, Melbourne. *Must provide valid proof of concession when collecting tickets, such as pensioner card, Health Care card or student card. Get the best seat in the house! This ticket guarantees you a reserved balcony seat on the first two rows! 1 x Adult ticket to THE FENCE (allocated front or second row balcony seat) - event to be held on the 27th August, 7:30pm at Storey Hall, Melbourne.